This post considers Part 2 - Courts and Justice. In Part 2 there are various provisions addressing civil and family proceedings; judicial appointments and deployment of the judiciary; payment of fines; enabling the making and use of films and other records of proceedings and community and other non-custodial sentencing. In addition, this post looks at Part 3 Clause 27 - Drugs and Driving. As frequently happens, it is likely that further provisions will be tagged on to this Bill as it passes through Parliament. The opportunity for Ministers to do this seems to be irresistible. The County Courts Act 1984 is amended. A new section A1 is inserted which will create a single County Court for England and Wales. The court will have the jurisdiction and powers conferred on it - (a) by or under the Crime and Courts Act or any other Act; (b) by or under any Act, or Measure, of the National Assembly for Wales. The court will be a "court of record" and will have a seal. Sections 1 and 2 of the County Courts Act 1984 requiring County Courts to be held for Districts will be repealed. The Bill also inserts Part 4A into the Matrimonial and Family Proceedings Act 1984 to create a Family Court for England and Wales. It will have the jurisdiction and powers conferred on it - (a) by or under the Crime and Courts Act or any other Act; (b) by or under any Act, or Measure, of the National Assembly for Wales. The court will be a "court of record" and will have a seal. Part 2 of the Children, Schools and Families Act 2010 (family proceedings) is repealed. This will remove from the statute book a so far unimplemented scheme relating to publication of information relating to family proceedings. (See Commenting on Family Cases 17th May 2011). There are also further repeals relating to this Act. existing county courts) has effect and Schedules 10 and 11 (amendments in connection with the establishment of the family court). These Schedules are, in themselves, very detailed and they will be supplemented by both court rules and Regulations. At the present time, there are some 170 County Courts in England and Wales. Each has its won legal identity and serves a defined geographical area. Certain civil matters, for example in respect of proceedings in contract and tort or actions for the recovery of land, can be dealt with by all county courts, whereas other civil cases, for example family proceedings, certain contested probate actions and bankruptcy claims, are handled by designated county courts. The idea of forming a single County Court goes back at least to the report by Sir Henry Brooke - "Should the Civil Courts be Unified?" - (August 2008). In March 2011, the Ministry of Justice issued a consultation "Solving disputes in the county courts: creating a simpler, quicker and more proportionate system" and views were sought as to whether a single county court should be established. Family proceedings are currently heard at first instance in the magistrates' courts (family proceedings courts), the county courts and the High Court. 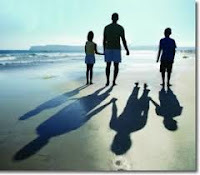 While the Family Procedure Rules 2010 largely govern the practices and procedures of all courts dealing with family proceedings, each court’s family jurisdiction is constituted and governed by a variety of different statues. For example section 33(1) of the Matrimonial and Family Proceedings Act 1984 allows the Lord Chancellor to designate certain county courts as "divorce county courts", which have jurisdiction to hear and determine any matrimonial matters. In March 2010, the Family Justice Review Panel, chaired by David Norgrove and commissioned by the Ministry of Justice, the Department for Education, and the Welsh Government, began their review of the family justice system in England and Wales. In November 2011 the Family Justice Review Panel published their final report Family Justice Review – Final Report in which they recommended a single family court, with a single point of entry. This would replace the current three tiers of court. Prior to publication of the Panel’s final report the Government consulted on the Panel’s interim report and recommendation Family Justice Review – Interim Report . An analysis of consultation responses was integrated into the Panel’s final report. The majority of respondents to the consultation (75%) agreed that a single family court should be created. The Norgrove Report was considered in some detail on this blog. Judicial appointments - Clause 18 - this clause gives effect to Schedule 12 which is divided into 5 parts. Part 1 provides for there to be no more than the equivalent of 12 full-time judges of the Supreme Court, rather than exactly 12 judges, and makes provision about their selection. In my view, Part 1 is likely to prove controversial since there is a provision that a selection commission may include the Lord Chancellor as a member though he may not chair it. The President of the Supreme Court will not be able to be a member. The inclusion of the Lord Chancellor may well be seen as political interference in the selection process. Part 2 contains provisions to facilitate greater diversity among judges. Part 3 amends provisions about membership of the Judicial Appointments Commission. Part 4 makes provision about selection for certain judicial appointments, and provides for the transfer, from the Lord Chancellor to the Lord Chief Justice or the Senior President of Tribunals, of functions in connection with selection for and appointment to judicial offices. Part 5 abolishes the office of assistant Recorder. The Constitutional Reform Act 2005 ("the CRA") made a number of substantial changes to the process for selecting and appointing various judicial office holders within the United Kingdom. Part 4 of the CRA, which established the Judicial Appointments Commission, now governs the selection and appointment process for appointing judicial office holders to the courts in England and Wales, together with appointments to specified tribunals in the United Kingdom. A Supreme Court of the United Kingdom was also established by section 23 of the CRA. A separate process for selecting and appointing the President, Deputy President and Justices of the UK Supreme Court is governed by Part 3 of the CRA. In November 2011, the Ministry of Justice published a consultation document entitled Appointments and Diversity: A Judiciary for the 21st Century. The consultation sought views on legislative changes to achieve the proper balance between executive, judicial and independent responsibilities and to improve clarity, transparency and openness in the judicial appointments process. In addition the consultation also sought views on creating a more diverse judiciary that is reflective of society. The Government published its response to the consultation on 11 May 2012. (b) the deployment to courts in England and Wales of judiciary deployable to such courts. Effect is given to Schedule 13 (which makes provision for deployment of judiciary to courts and tribunals). Schedule 13 makes amendments to enable the Lord Chief Justice to deploy judges more flexibly across different courts and tribunals of equivalent or lower status. Payment of fines - Clause 20 is concerned with amending the law relating to payment of fines and other sums. Clause 21 - deals with disclosure of information for calculating fees of courts, tribunals etc. Clause 20 of the Bill will enable the imposition and recovery of a charge imposed on offenders for the costs of collecting or pursuing financial penalties and clarifies the role of the fines officer. Disclosure of information for calculating fees of courts, tribunals etc. - Clause 21 - The clause is concerned with "fee remission applications" which can be made under various enactments - e.g. Courts Act 2003 s92 or Constitutional Reform Act 2005 s52 etc. When an application is made it will be possible for social security information or tax credit information or finances information to be disclosed to a "relevant person." Enabling the making, and use, of films and other recordings of proceedings - Clause 22 - In England and Wales, the recording and broadcasting of the proceedings of a court or tribunal is prohibited by section 41 of the Criminal Justice Act 1925 and section 9 of the Contempt of Court Act 1981. It is an offence to breach section 41 of the Criminal Justice Act 1925 and it is a contempt of court to breach section 9 of the Contempt of Court Act 1981. By virtue of section 47 of Constitutional Reform Act 2005, the Supreme Court of the United Kingdom is exempt from the prohibition in the Criminal Justice Act 1925 and proceedings are routinely recorded and broadcast. The Lord Chancellor and Secretary of State for Justice made a written ministerial statement on 6 September 2011 stating his intention to allow, in limited circumstances and with certain safeguards, the recording and broadcasting of certain aspects of court proceedings. Clause 22 provides the Lord Chancellor with powers to bring forward secondary legislation, with the consent of the Lord Chief Justice, to give effect to this. The Secretary of State may by regulations make provision for, or in connection with, dealing non-custodially with offenders aged 18 or over. On 27 March 2012, the Ministry of Justice published a consultation on community sentencing entitled Punishment and Reform: Effective Community Sentences The consultation seeks views on a set of proposed reforms to the way sentences served in the community operate in England and Wales. The consultation is scheduled to conclude on 22 June 2012. Clause 23 is designed as a placeholder to allow the Secretary of State for Justice to bring forward amendments in the light of responses to the consultation. The Misuse of Drugs Act 1971 ("MD Act") prohibits the production, import, export, possession and supply of "controlled drugs" (subject to regulations made under the MD Act). The definition of the term controlled drugs is set out in section 2 of the MD Act. However, it is not an offence under the MD Act to have a controlled drug in your body. Supplementing the above, section 4 of the Road Traffic Act 1988 ("the 1988 Act") makes it a criminal offence to drive, or be in charge of, a mechanically propelled vehicle when under the influence of drink or drugs. The difficulties involved in proving impairment due to drugs means that section 4 of the 1988 Act is not often used in drug driving cases. While section 5 of the 1988 Act makes it a separate offence to drive or be in charge of a motor vehicle with an alcohol concentration above the prescribed limit, no similar offence exists for drugs. In December 2009, Sir Peter North CBE QC was appointed by the then Secretary of State for Transport, to conduct an independent review of the law on drink driving and drug driving. North's Report of the Review of Drink and Drug Driving Law was published in June 2010 and made a variety of recommendations in regards to drink and drug driving, including that further consideration should be given to introducing a new specific offence of driving or being in charge of a motor vehicle with a concentration of a controlled drug above a specified limit. Following Sir Peter North CBE QC’s report the Transport Select Committee published, in December 2010, a report on drink and drug driving law . The Committee favoured the adoption of a "zero-tolerance" offence for illegal drugs which are known to impair driving. The Secretary of State for Transport made a written ministerial statement on 21 March 2011 which announced the publication of the Government’s response to the reports by Sir Peter North CBE QC and the Transport Select Committee on Drink and Drug Driving(CM 8050) - here. The response endorsed Sir Peter North CBE QC’s recommendation that the case for a new offence relating to drug-driving should be examined further. Clause 27 of the Bill provides for such an offence. and there is in D’s body a specified controlled drug. D is guilty of an offence if the proportion of the drug in D’s blood or urine exceeds the specified limit for that drug. It will be a defence for a person (“D”) charged with an offence under this section to show that - (a) the specified controlled drug had been prescribed or supplied to D for medical or dental purposes, (b) D took the drug in accordance with any directions given by the person by whom the drug was prescribed or supplied, and with any accompanying instructions (so far as consistent with any such directions) given by the manufacturer or distributor of the drug, and (c) D’s possession of the drug immediately before taking it was not unlawful under section 5(1) of the Misuse of Drugs Act 1971 (restriction of possession of controlled drugs) because of an exemption in regulations made under section 7 of that Act (authorisation of activities otherwise unlawful under foregoing provisions). (so far as consistent with any such advice) given by the manufacturer or distributor of the drug. If evidence is adduced that is sufficient to raise an issue with respect to the defence , the court must assume that the defence is satisfied unless the prosecution proves beyond reasonable doubt that it is not. specified controlled drug in D’s blood or urine remained likely to exceed the specified limit for that drug. and any damage to the vehicle. Thanks! I had not spotted that Part 2 CS&F Act 2010 had been repealed. So, what next for the 'opening up the family courts campaign'? This takes you to a memo. dealing with the Convention compatibility of the Bill. In there is a lengthy section entitled "Access to hearings and publication of information from proceedings in the Family Court"
Provisions in the Bill for the family court include provision as to the powers of the court. Where such powers are not expressly conferred (whether in freestanding provision or by amendments to existing legislation), new section 31E(1) of the 1984 Act, inserted by Schedule 10 to the Bill, ensures that the family court will have the power to make any order which could be made by the High Court or the county court, were the proceedings in such a court. Family Procedure Rules made under section 75 of the Courts Act 2003 will apply to the family court (by virtue of the amendments to that section made in Schedule 10 to the Bill). The family court will have the same powers as the High Court and county courts have now to regulate access to hearings and disclosure of information from family proceedings. The intention is largely to replicate for the family court the provisions currently in force. This will necessitate the repeal of the uncommenced Part 2 of the Children, Schools and Families Act 2010, which made new provision in respect of access to, and disclosure of information from, family proceedings, but which the Government has stated it does not intend to bring into force. Provision for that repeal is made in clause 17(4) of the Bill. The Government’s response to the Inquiry, issued on 26 October 2011, accepted the recommendation and stated that “Ministers advised Parliament in October 2010 that no decision would be taken on commencement of these provisions until the outcome of the Family Justice Review. However, in light of the committee’s findings, we have decided to bring forward that decision.”. Hope this helps. I wish they would not bury the detail quite so deeply !! !